All babies are unique and each parent’s relationship with their child is unique. Recognize that no two parents have identical parenting styles—and this is good. When it comes to Comfort, Play & Teach, you don't have to be equally good at all three. One of you may be better at Comfort and Teach, the other at Play. When it comes to Positive Parenting, one of you may be more flexible; the other—more consistent and predictable. No parent can be perfect. An important part of Positive Parenting is to know yourself—and by extension, your partner—and to value what each of you brings to the parenting of your child. Link to Positive Parenting articles. Take time together to plan parenting strategies. Avoid making assumptions about the way your child should be parented without first discussing the issue with each other. It is easy to fall into the trap of assuming that your partner agrees with your approach. And guess what? They might not. Unhealthy competition can rear its ugly head when you barge ahead without discussing your parenting strategies with one another. Yes, differences of opinion are natural. However, when you try to see your partner's point of view, it can go a long way towards avoiding unhealthy competition. Divide your parenting according to your strengths, time and energy. Another strategy of Positive Parenting is to know each of your strengths and limitations and to then build your parenting strategies around them. Many of you will move toward a family style where one of you will spend the most time and energy with your young baby. But both of you have strengths! The parent who spends less time is still a critical member of the parenting team. Build on each other's strengths, regardless of how much time either has to spend with your baby. For even more tips check out our article on Avoiding Competition. Do you and your partner ever find yourself competing? How do you manage? What strategies have you developed? Leave a comment and share your story below. 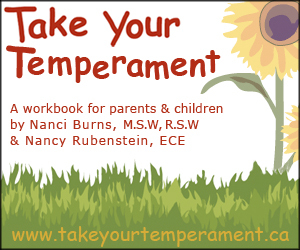 Approach : On The Temperament Wheel, is your child high or low? 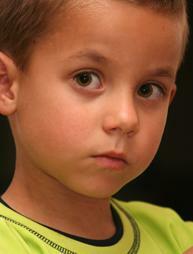 Low Approach – this child is shy – very tentative in new situations. Comfort and support your baby when he attempts to reach out to other people. "Blow Grandma a kiss." Little by little, this helps your child learn to trust other people. Allow your child to play with other children. Support his efforts when he approaches other children. Find one or two other children to play with regularly. This helps your child learn to enjoy time spent with other children. Use the "small steps" approach to help your baby learn how to overcome her shyness. Break down the challenge into very small steps. Reward each one. For example, start by just waving at a new person. This gradually helps your child learn to approach other people by herself. Support your child’s outgoing nature with lots of encouragement. This helps him learn to work well with other people. Keep an eye on your baby during play because she likes people and things that are new. She cannot yet judge whether these are safe or dangerous. This helps her learn how to judge whether new situations are safe or not. Acknowledge your child for avoiding risky behaviour. This helps your child be safer. What comes to mind when you hear the phrase “Positive Parenting?” Sweet kisses as you lay your sleepy baby in her crib? A heartfelt round of applause when your toddler finally takes to his potty? An enthusiastic cheer as your preschooler sails off on his two-wheeler for the first time? While these examples are certainly clear demonstrations of positive, loving and supportive parenting—the kind of parenting that children surely respond to—the definition of Positive Parenting digs much deeper than that. We have based our working philosophy around Positive Parenting. Here are some questions you may be wondering about as you learn more about Positive Parenting and Comfort, Play & Teach. Why is Positive Parenting important? Invest in Kids' National Survey of Parents of Young Children, showed that although 9 out of 10 Canadian parents believe that parenting is the most important thing they do, nearly a third of parents could increase their Positive Parenting, a third could be more effective in their parenting and nearly two thirds could decrease their punitive parenting. Why do we believe Positive Parenting is the best approach? The Positive Parenting approach reflects the learning from decades of research on parenting style and the impact it has on children's development. Positive Parenting is the most important predictor of children's mental health and success in life. Equally important, Positive Parenting helps create a lifelong warm, respectful and loving relationship between parent and child. Is Positive Parenting just about being nice to your child? Absolutely not. Often being a reasonable parent does not feel very positive at the time. Take, for example, setting limits or disciplining appropriately. You may not feel very positive at the time. However, the long-term impacts of Positive Parenting are positive for children, and their relationship with their parents. Being a Positive Parent seems overwhelming. How can I be that perfect? While as a concept, Positive Parenting may look challenging, we created Comfort, Play & Teach®: A Positive Approach to Parenting. Comfort, Play & Teach® are the three main how-to's of Positive Parenting. Each is a tried and true, yet simple, way of relating positively to your children. This sounds too simple. Will it work? If there's anything that's come out of the scientific literature in the last 25 years, it's the importance of Comfort, Play & Teach with your children. Comfort is clearly supported by the research on attachment, depression, parenting style and discipline, which shows over and over that children do best in environments with high levels of warmth and positive regard and low levels of punitive/angry behaviour. Play, as documented in the research literature, is a critical aspect of learning to talk, becoming creative and getting along with others. And Teach is demonstrated over and over as crucial, not just for intellectual development, but for moral and ethical development as well. Comfort, Play & Teach builds on the activities that you do every day with your child—no special equipment is required. What specifically is Comfort, Play & Teach? The Comfort, Play & Teach approach shows how each comfort, play or teach action by a parent leads to a predictable response from your infant or young child. And this is so much fun! You start something, your child picks it up, mulls it over, responds, and what a thrill for you! These Comfort, Play & Teach activities are geared to your child's age from birth to kindergarten. So you enrich your child appropriately as he grows and develops. We have developed a whole series of practical, easy-to-do Comfort, Play & Teach activities and videos for you, based on the age and capabilities of your infant, toddler or preschooler. They turn everyday moments and routines into enriching experiences. Best of all, they help forge a strong bond with your child. No. Comfort, Play & Teach are straightforward activities that can be applied across the board. You will quickly connect the dots and learn so much about how children grow and mature. Not just physically, but socially, emotionally and intellectually, too. You will be enhancing all aspects of your child’s development, with ever increasing knowledge, skills and confidence. And it is so easy! Do I need to set aside time each day for Comfort, Play & Teach activities? No. Thankfully, the beauty of Comfort, Play & Teach is that it is built on the naturally-occurring activities you already do with your baby, toddler or preschooler. It takes daily activities, such as eating, commuting, or bathing, and turns them into Comfort, Play & Teach moments. What if I am not very good at comforting, playing with or teaching my child? Most of these activities are so simple you don't have to be very talented at any of them in order to be successful. Anyway, most children are not harsh judges of their parents, and will likely be delighted with your efforts. Distractibility : On The Temperament Wheel, is your child high or low? Give your child comfort when you interrupt his concentration. For example, say, "I know that you love playing with your new truck, but we have to go to story time at the library now." This helps your child feel that you value him—even if he doesn't like being interrupted. Give your child many different types of activities, such as blocks, clay, jumper swing and pull toy. This encourages her to break her concentration and move on to new things. This helps her learn to transition more easily from one activity to another—even though she concentrates greatly on each one. Help your baby maintain a balance in his activities—from heavy concentration to a variety of stimulating activities. This helps your child become more well-rounded. High Distractibility – these children are easily sidetracked from one thing to another. In extreme cases they have Attention Deficit Disorder. 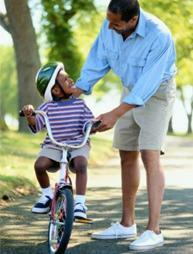 Acknowledge your child when he completes one task before moving on to the next. This helps him feel proud of his accomplishment. Reduce the distractions among your child's playthings. These children are easily overwhelmed by clutter and volume of toys. This will help your child be more likely to play and learn successfully with one or two things. Give lots of guidance and support to help your child maintain her attention on the task at hand. This helps your child learn that paying attention is valued by others.